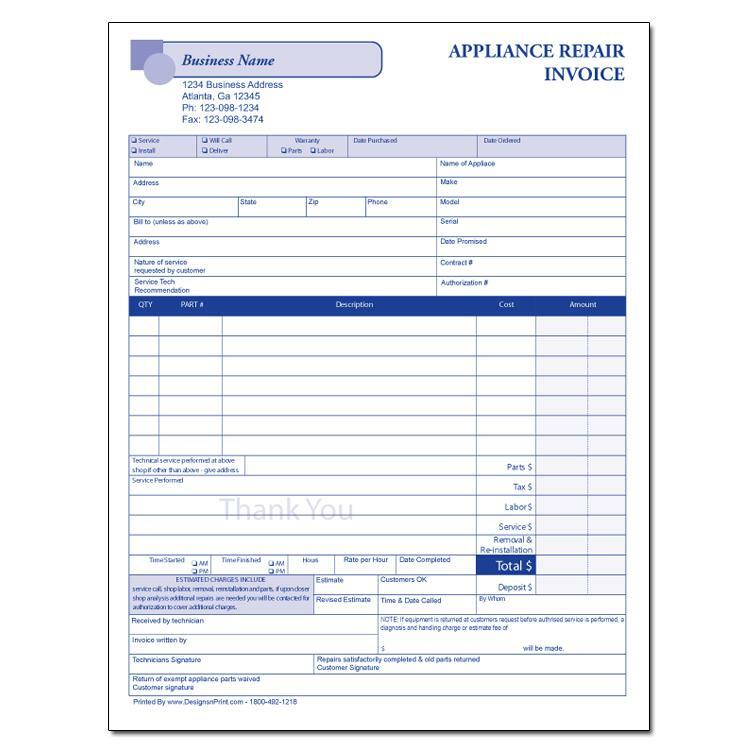 large Size: 8 1/2 x 11"
Appliance repair invoices are generally used by repair technicians in fields areas like, kitchen and house hold appliance. They can be used for both residential and commercial jobs. 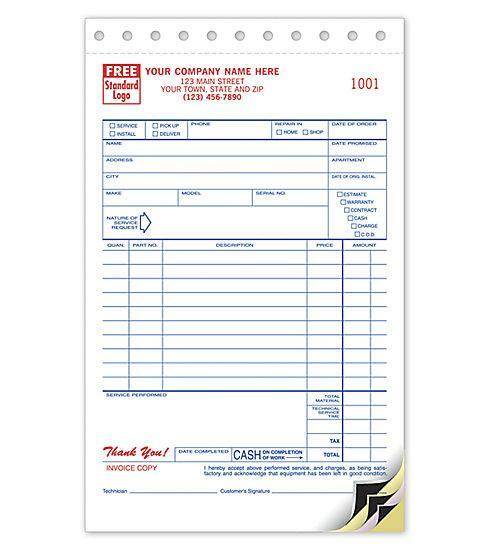 A custom form can be designed and printed, personalized with you company information. We can add your logo, add colors and more. These are carbonless printed in 2 parts, 3 parts and 4 parts. 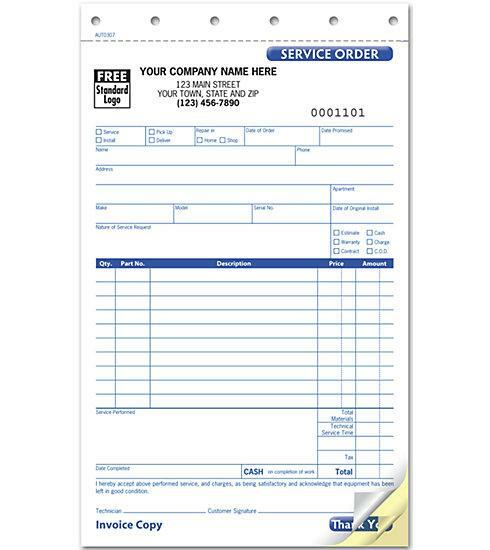 If you own an appliance repair shop this invoice is perfect for you. 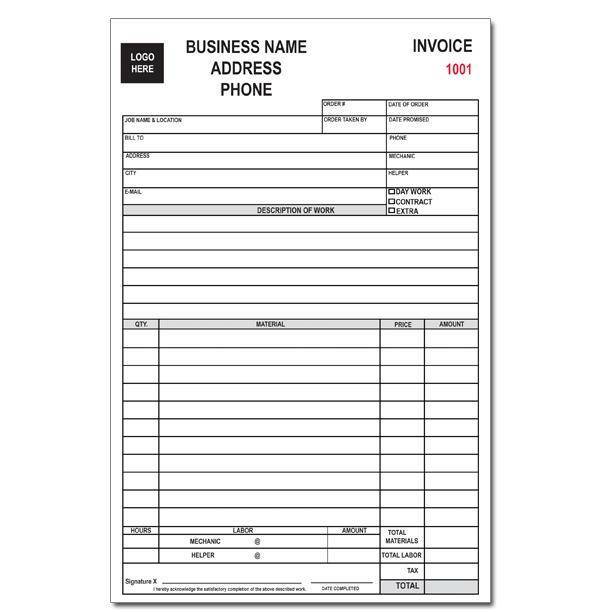 Allow us to be your custom invoice printing company.